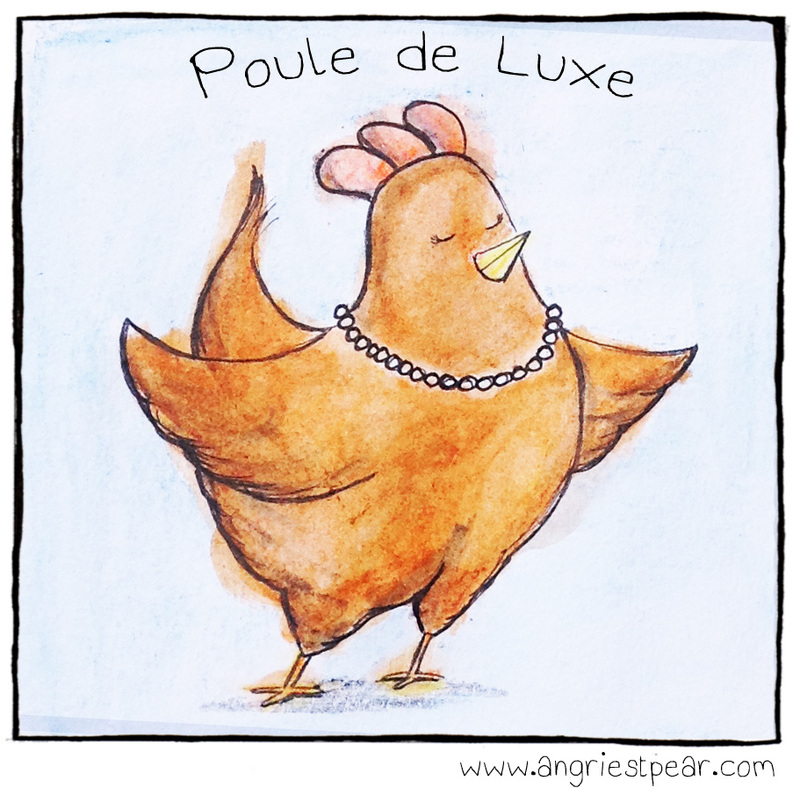 A french expression that means high maintenance woman. I think it’s hilarious. 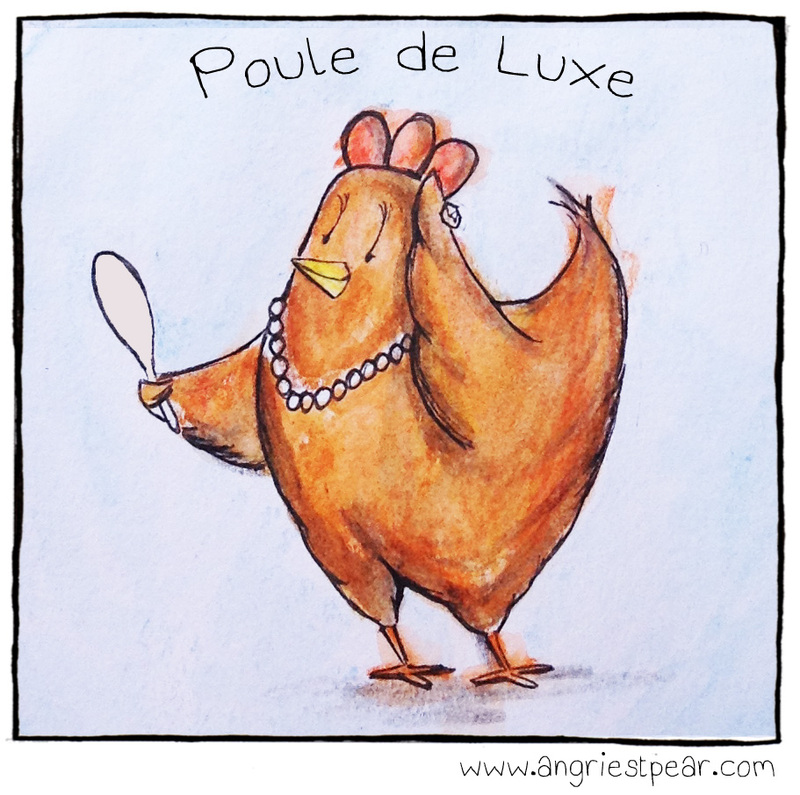 Categories: Not Pear | Tags: anthropomorphic, cartoon, chicken, comic, expression, french, hen, high maintenance, humor, illustration, poule de luxe | Permalink. Sorry I haven’t been posting! I’ll try to do better. Kind of like the Lace Pears I posted a while back. 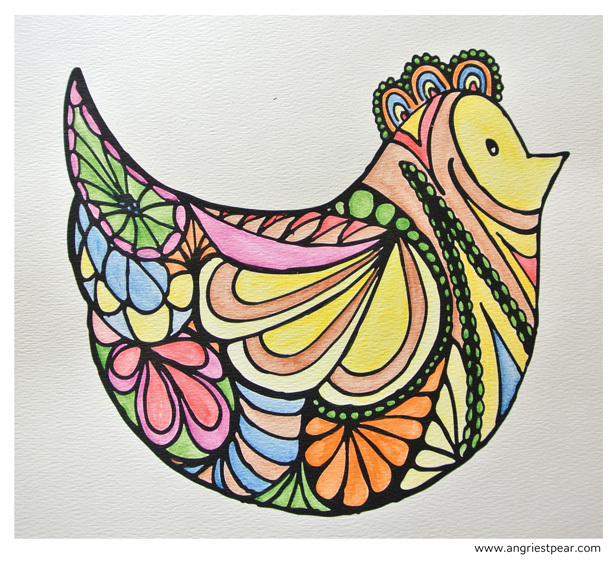 Categories: Not Pear | Tags: art, chicken, drawing, hen, illustration, watercolor | Permalink. 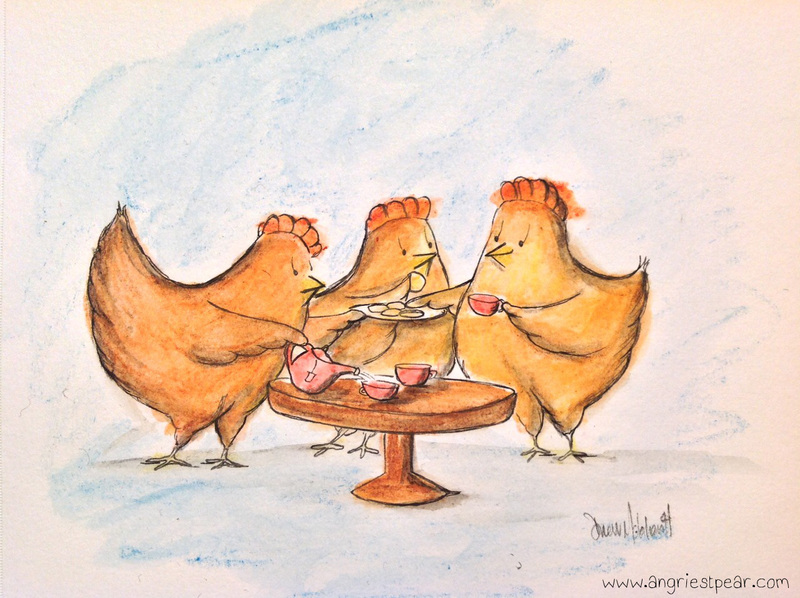 Categories: Not Pear | Tags: anthropomorphic, birds, chicken, cute, drawing, hens, illustration, tea, watercolor | Permalink. 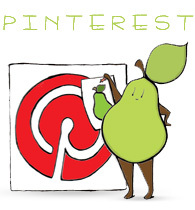 Enter your email address to follow Angry Pear and receive notifications of new posts by email. © Copyright 2010-2014 Drew McKevitt.